A debt management plan is an arrangement set up by someone in debt to pay off the remainder that they owe at a lesser rate than was originally agreed upon. While people can technically set up their own debt management plan, it is typically easier to get an experienced debt management company to do it for you. The main reason is that the adviser will handle all negotiations with the creditors. Many debt management companies have received a bad name over the years for large fees and arrangements that put the debtor deeper into debt. 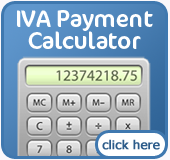 A cost effective alternative is a DIY Debt Management Plan which you can facilitate yourself. Debt management plans are generally not suitable for people teetering on the edge of insolvency but are perfect if you need help to manage your debt and stop it from getting any worse. Asking a third party, such as a debt management company, for help with your debt shows great courage and can sometimes be just the step needed to get your finances back on track. A debt manager is not a legal officer or receiver but they can help you identify and address the causes of your financial difficulty. By taking on a debt management plan you will accept that they may make decisions for you. They are, however, highly skilled professionals and this should reassure you that they will act with your best interests in mind at all times. Debt management professionals deal directly with the creditors so you don't have to contact the people you owe money to. This is a real advantage at a time when you are already feeling anxious about the debts you have accumulated. You should always contact your creditors as soon as you realize that you may have a debt problem. If you are having trouble paying bills, and decide to wait to contact them, it will only make the situation worse. 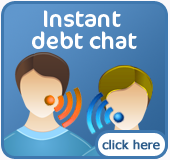 If you are looking for a specific company, you can browse our list of UK debt management companies.